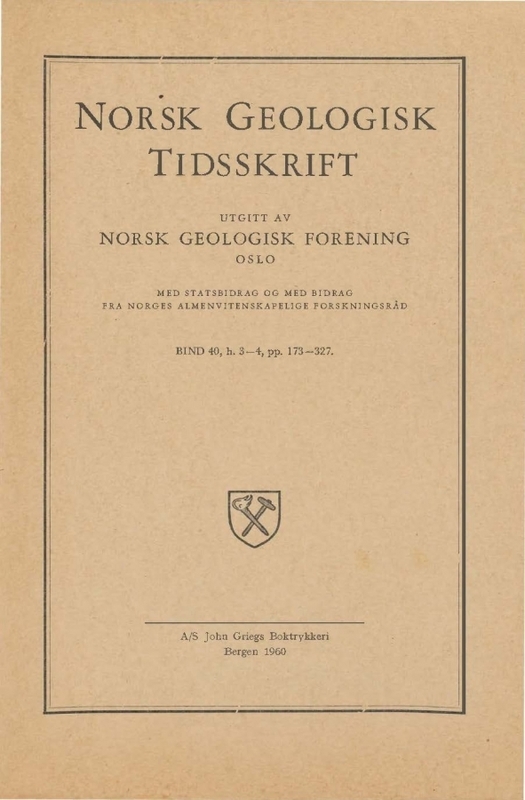 Apparent ages of Norwegian minerals and rocks. A great many age determinations of Norwegian minerals and rocks have been done during a long period of time, by many investigators applying a number of different methods. Some of the results are easily overlooked by geologists as they are published in journals which are not too commonly read, and some have never been published earlier but are given as personal communications. The author would like to express his gratitude to the persons concerned for permission to use data which is not already published elsewhere. The intention of this paper is first to collect the existing data and make it more easily available to those interested, and discussions of the reported ages have been reduced to a minimum.